Gold Bar North (GBN) is a highly prospective gold exploration property, identified and staked by Dave Mathewson. GBN consists of 49 unpatented lode mining claims situated in Eureka County, Nevada, in Sections 29, 30, 31, and 32, Township 23 North, Range 49 East, and Sections 5 and 6, Township 22 North, Range 49 East, Mount Diablo Base Line and Meridian. The only financial obligation required to maintain these claims are the annual federal and county fees. 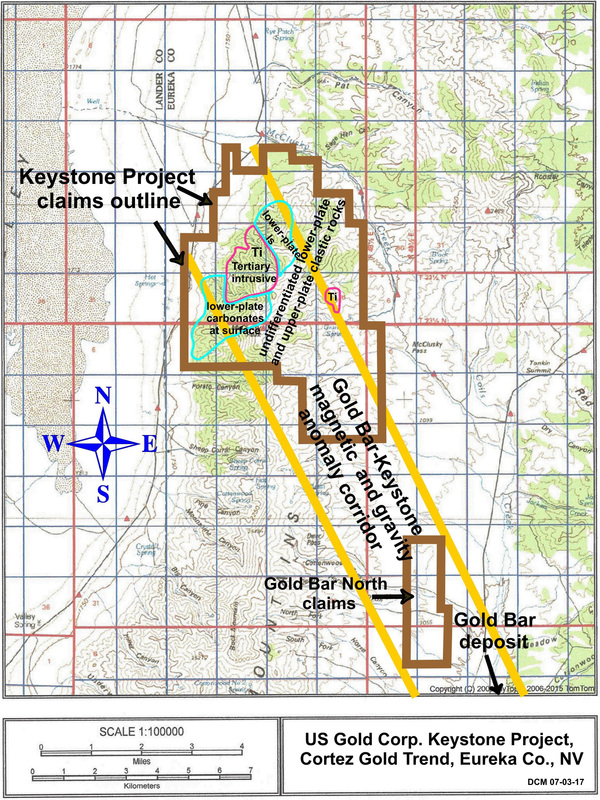 GBN is on line with the Gold Bar and Mill Site gold deposits located within the permissive carbonate Gold Bar horst farther to the south. The Gold Bar deposit was composed of 3.95Mt at a grade of 2.95 g/t with a 1.5-to-1 waste-to-ore strip and 90 percent gold recovery in an oxide CIL mill. Gold Bar was mined out by Atlas Corp. from 1987-1992. 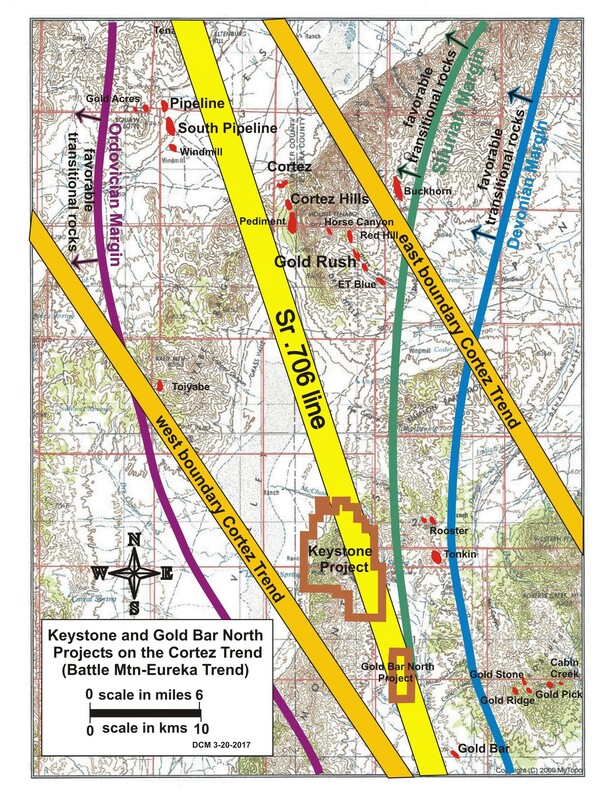 The geology/stratigraphy of GBN is very similar to that of both Keystone and Gold Bar.